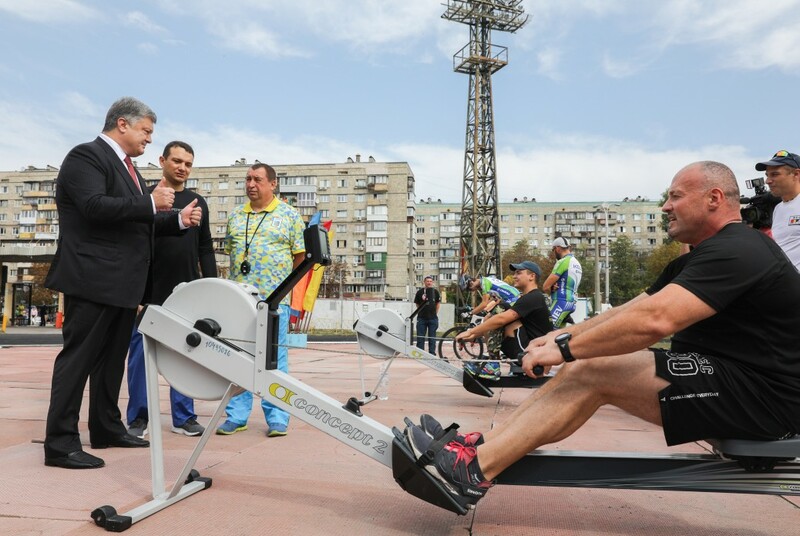 President of Ukraine Petro Poroshenko calls on Ukrainians around the world to support the national team of Ukraine, which will take part in the Invictus Games in Toronto. This has been reported on the website of the Head of State. 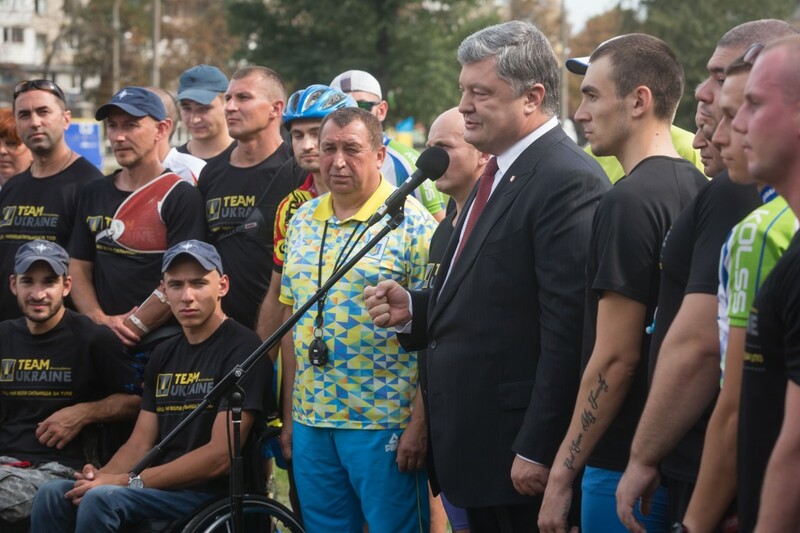 "I would like all Ukrainians all over the world to support our heroes. We will root for them and they will fight for the title in the Invictus Games," he said. "I have no doubt that we will show a great performance. I have no doubt that Ukraine will make a case for itself. 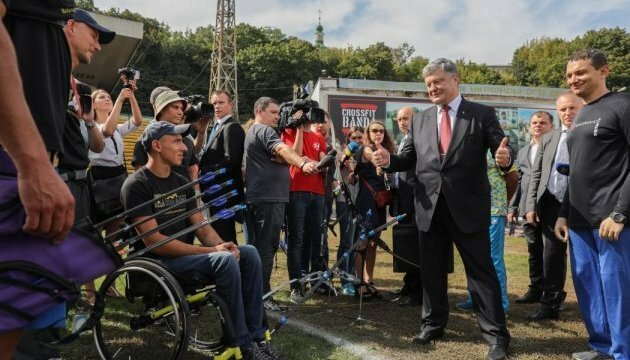 And I do not exclude that one day, we will do everything to host the Invictus Games in Kyiv, on the Ukrainian soil, and to defend honor of Ukraine here," the Head of State added. The President informed that he had already discussed an opportunity to host the competition in our state with the minister. 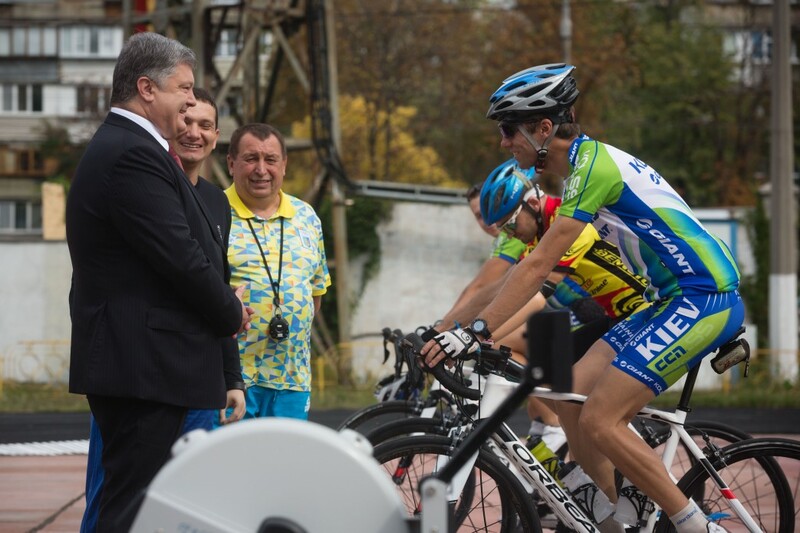 According to him, if the Ukrainian team performs successfully, the Ministry of Youth and Sports will prepare the appropriate conditions for the participation of Kyiv in determining the next priority of the host party. The Head of State informs that he is going to support the Ukrainian community in Toronto, as he plans to visit Canada after the participation in the UN GA session and the UN Security Council session that will touch upon the issue of peacekeepers in Donbas.